Readers may recall your correspondent’s respect and affection for the extraordinary novella Flatland: A Romance of Many Dimensions— so won’t be surprised that he’s excited to discover the work of Vi Hart. 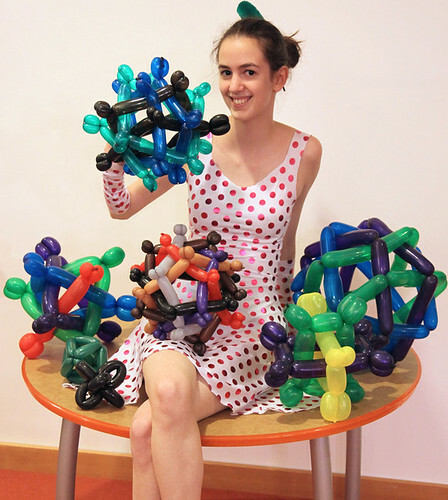 Hart is an artist and composer with a gift for using mundane materials (like balloons) to illustrate abstruse concepts. Her most recent creation is a wonderful animation of Flatland… on a moebius strip. 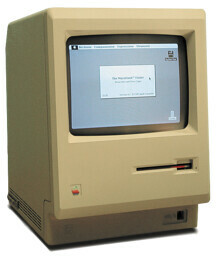 As we we give up our search for a beginning or an end, we might recall that it was on this date in 1984– two days after it was introduced in an epoch-making commercial during Superbowl XVIII– that the first Apple Macintosh went on sale.